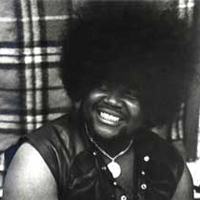 Buddy Miles, the American drummer who played with Jimi Hendrix in his Band of Gypsys, has died at the age of 60 at his home in Austin, Texas of congestive heart failure. Born in Omaha, Nebraska in 1947, Miles was performing in his father’s jazz combo by the age 11. Within a few years he was an in-demand session player for top r’n’b groups. He earned his dues playing with the likes of the The Ink Spots, Ruby and the Romantics, Wilson Pickett, and The Delfonics. Then in 1967 Miles joined forces with guitarist Mike Bloomfield to form rock and soul outfit Electric Flag. Later he teamed up with Hendrix and bass player Billy Cox in the short-lived Band Of Gypsys following his work on Jimi’s Electric Ladyland double-LP. The Band of Gypsys made just one album, a live set recorded on New Year’s Eve in 1969-70, and two of Miles’ songs, Them Changes and We Got to Live Together, were included on the album. In later years Miles played with the likes of David Bowie, Muddy Waters, Barry White, Carlos Santana and Stevie Wonder. show will be announced shortly that is open to all to attend. 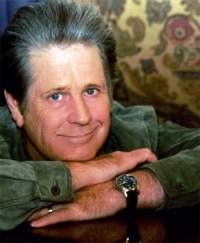 Brian Wilson has announced three UK shows, due to take place in June. Kenwood House: £27.50 to £36.00. Click here for more. Ipswich Regent Theatre: £50.00. Click here or call 0844 576 5483. Tickets go on sale Friday (February 29) at 9am. London Royal Albert Hall: £35 – £75. Call 0207 589 8212 / 0207 434 2222 or click here. 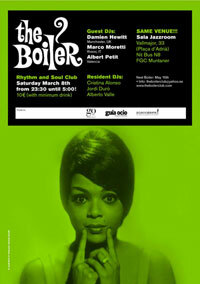 Tickets go on sale next Friday (March 7) at 9am. And if you are looking to buy a new outfit to wear to the shows your luck is in as to coincide with the shows there is a brand new range of official merchandise available. For details and more on Wilson see the official Brian Wilson website here. 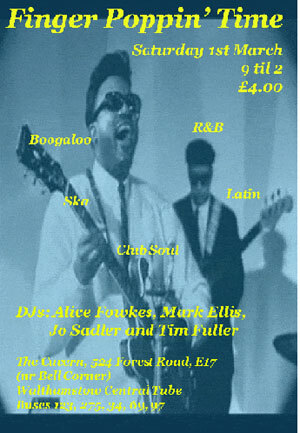 The Finger Poppin’ Time crew are promising the best in Club Soul, R&B, Ska, Latin, Boogaloo on Saturday 1st March at The Cavern in Walthamstow. DJ’s for the nigh are local residents Alice Fowkes, Mark Ellis, Jo Sadler and Tim ‘The Mod’ Fuller, spinning tunes at a ‘great friendly venue’ within easy reach of Walthamstow tube (Victoria Line). 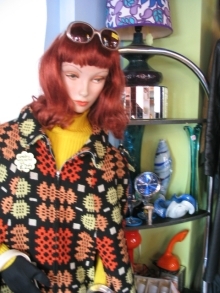 Find out more at the Modculture forums or drop Tim a line via email here.